The digital media platform has become a necessity in our day to day life and various applications like Facebook, Twitter, weekend and most importantly WhatsApp. The WhatsApp user around the world are around 1. 5 billion users and it is increasing every single day. Although various applications like Facebook and YouTube are given their user chance to earn money for example, Facebook video creators and YouTube content creators can earn through ad revenues. 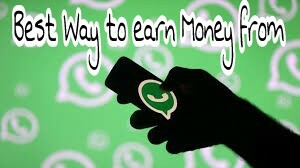 But the recent news is that the Facebook and WhatsApp is giving some way on how you can also and earn money from Whatsapp. You must have seen different types of content all around the internet but the user wants to earn money can and try spread the sortened links of useful content in WhatsApp. Many paid URL shortening website are present that can be used to cut various web content into small links. The short link is then shared on the WhatsApp and each click a link gets, the user receiver certain amount of money. This is a method by which a WhatsApp user promotes its own product or products of the third party, for example :- Amazon is one of the most populated marketing platforms. Pay Per Download (PPD) is yet another good method for the uses of WhatsApp to earn money. Openload which is one of the best PPD website offers money for promoting their video links. If you opt for this option then this procedure involves the upload of all the movies, images, songs and other interesting videos and the users have to share the link of the video on whatsapp or on any other social media platform. You will be paid whenever the content of the link is downloaded and the money paid may vary as per download capacity. This is yet another option in which the WhatsApp user has to promote various apps but no direct money is provided to the user. They will be provided with free recharge paytm cash extra. So, if you find the option used for you have to share the referral link to other WhatsApp contact to earn a free recharge. 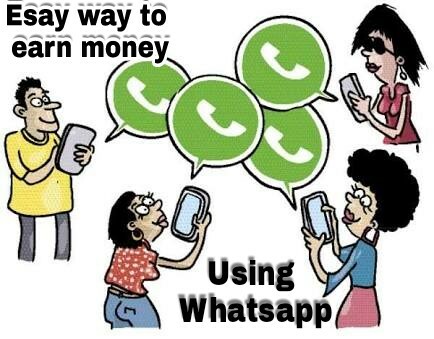 Finally, these are the four way that can help a person who spend most of the time on WhatsApp obtain some money. This application can be a great tool for sales and marketing initiative helps earn money.